In the middle of the 9th century Frankish and Byzantine Empire are going through a period of crisis and internal conflicts which allowed the rulers of nearby countries under their influence to take steps towards higher degree of independence. With help of Roman Catholic Church, this weakness of regional medieval superpowers made it possible for the Croatian duke Trpimir to utilized them for straightening his own ruling over the lands he was in charge in. More about Trpimir and his reign is presented in lines that follows, which are part of series: The Trpimirović Dynasty of Croatian Rulers. In the middle of the 9th century Franks and Byzantines were at the weakest point in their existence. Frankish Empire declines after Charlemagne departed, especially the death of his son and hear to the throne Louis the Pious. On the other hand Byzantium suffered in the ongoing conflict with the young Bulgarian state in rise, but also had problems on its eastern borders fighting with Arabic raiders. Problems in the back yard of two former medieval superpowers led the rulers of the state at the far corner of their interests zones to start acting more independent and with stronger self-confidence and reliance in their capabilities. One of them who seized the opportunity in the time of crises was Croatian duke Trpimir who succeeded Mislav on the throne around 845 and ruled till 864. Trpimir acknowledged high power of Italic king and Frankish Emperor Lothar I. (840-855), but his reign shows the signs of truly independent local ruler. 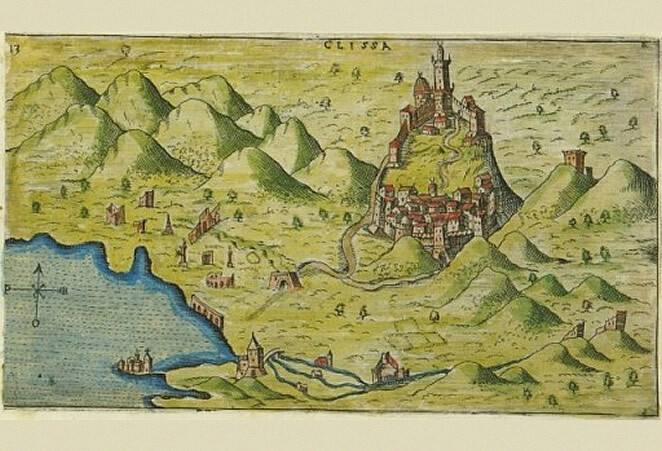 During him Croatia spread from rivers Sava and Kupa far to the south and river Cetina and from Adriatic sea to the east where the border line is situated on the river Drina.1 The center of state was situated in the castle of Klis. 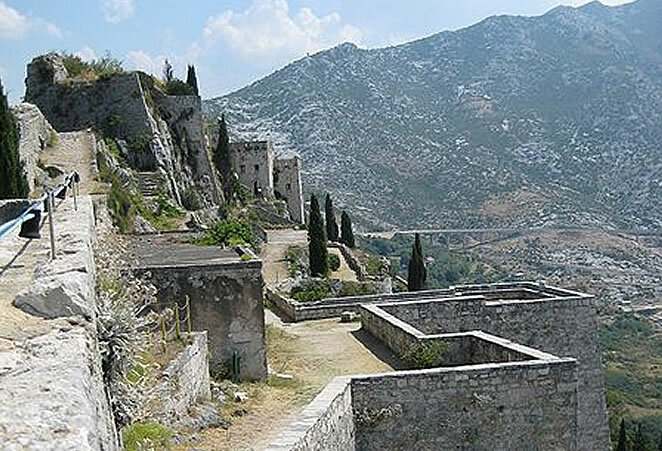 Trpimir decided to build the monastery and church in the proximity of his court in Klis, todays Rižinice near Solin. He invited Benedictines, prolongers of literacy, from Monte Cassino to Croatia. The meeting with Petar, archbishop of Split, took place in Bijaći, near Trogir on the land owned by Trpimir and the intention was to witness validity of paper, written by chaplain Martin, also known as Trpimir Beneficiary. 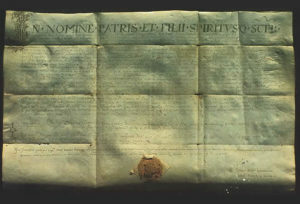 With it Trpimir allowed archbishop to take claim on tenth from dukes property in Klis and confirms his legal ownership right over the church of St. George on Putalj in exchange for silver given by Trpimir to Benedictines for modification of villa rustica into monastery and for building a church in Rižinice. Inscription on the gable with his name on it says: PRO DUCE TREPIM[ERO]4 and in beneficiary Trpimir is called “with Divine support duke of Croats“ (dux Chroatorum munere divino),5 which makes this two monuments the oldest ones who mentioned the name of Croats and the title of the Croatian ruler. Another example which underlines importance of Trpimir is a quote from the text written by Gottshalk, member of the Benedictine Order, in which he titles Trpimir as „The King of Slavs“ (Rex Sclavorum). 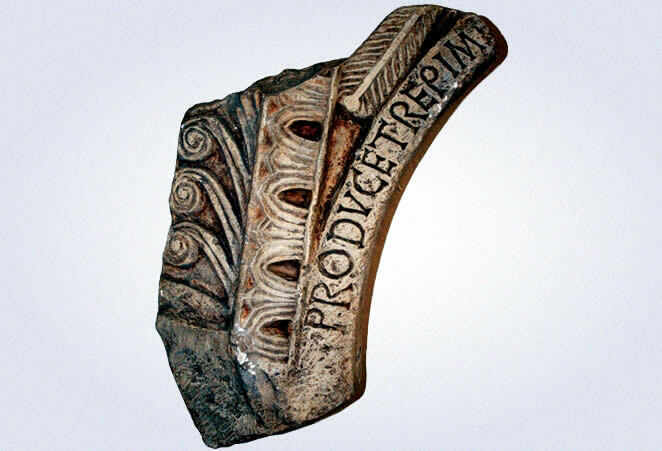 This is interesting because the use of royal title for the Croatian ruler is likely to be found in other scripts and texts of the period some fifty years later and is attributed to those who ruled after Trpimir. Gottshalk came to Trpimir court in 846 with an effort to find a safe place and protection, trying to save himself from the charges of heresy due to his teachings regarding predestination.7 It is highly unlikely that Gottshalk as educated man made such a mistake in appellation Trpimir in his writings. Most likely he remembered Trpimir as independent and strong ruler which offered him protection in the time of need, but knowing that formally he is not a king. He had three, already mentioned sons, but after him Croatian throne went on to Domagoj, obviously a member of some other respected noble family which had had land properties likely positioned to some distance away from Klis, most likely around Knin. Trpimir acknowledged high power of Italic king and Frankish Emperor Lothar I., but he called himself “with Divine support duke of Croats“. It clearly shows that he wasn’t considered that he owes his power to Frankish emperor or king, but to God. In Gottshalks inscriptions Trpimir was mentioned as king of Slavs (Rex Sclavorum). 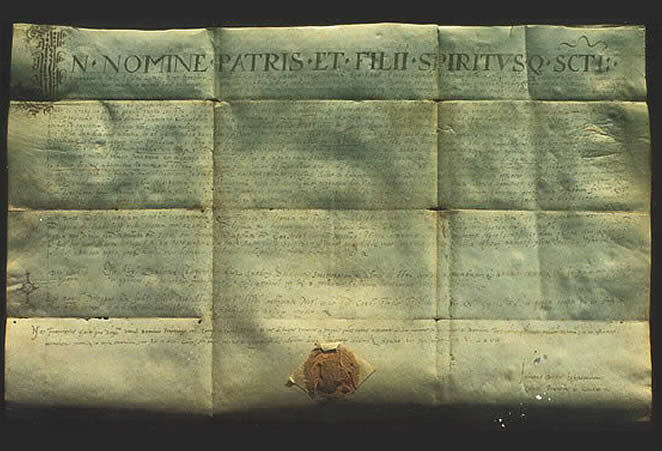 The use of royal title for the Croatian ruler is likely to be found in other scripts and texts of the period some fifty years later. This shows us that Trpimir was ruler with royal reputation, for whom it wasn’t necessary to be crowned. 1 Vjekoslav KLAIĆ, Povijest Hrvata, Book I, Zagreb: Matica hrvatska, 1972, page 76. 2 Nada KLAIĆ, Povijest Hrvata u srednjem vijeku, Zagreb: Globus, 1990, page 60. 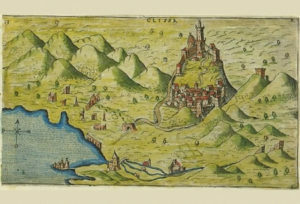 3 Stjepan GUNJAČA, Ispravci i dopune starijoj hrvatskoj historiji, Book II, Zagreb: Školska knjiga, 197., page 141-167; Ivo GOLDSTEIN, Hrvatski rani srednji vijek, Zagreb: Novi Liber – Zavod za hrvatsku povijest FF-a, 1995, page 202. 4 Tomislav RAUKAR, Hrvatsko srednjovjekovlje, Zagreb: Školska knjiga, 199., page 28. 5 Ferdo ŠIŠIĆ, Povijest Hrvata u vrijeme narodnih vladara, Zagreb: Nakladni zavod Matice hrvatske, 1925, page 330-331. 6 Neven BUDAK, Prva stoljeća Hrvatske, Zagreb: Hrvatska sveučilišna naklada, 1994, page 77-78. 7 God decides in which direction will human soul tend to- toward salvation or damnation, so good deeds in this world can’t save anybody from the fact his destiny is chosen for him – he is predetermined from the birth by predestination, more details in: Ivo GOLDSTEIN, Hrvatski rani srednji vijek, Zagreb: Novi Liber – Zavod za hrvatsku povijest FF-a, 1995, page 201. 8 Neven BUDAK, Prva stoljeća Hrvatske, Zagreb: Hrvatska sveučilišna naklada, 1994, page 21. 9 Tadija SMIČIKLAS, Poviest hrvatska, Book I, Zagreb: Matica hrvatska, 1882, page 183.